Learn how GPS tracking devices are used to track location and movement. GPS is an acronym for Global Positioning System, which is a system of satellites and receiving devices used to compute positions on the Earth. Three people were given credit for inventing the technology for the United States Department of Defense: Ivan A. Getting, Bradford Parkinson and Roger L. Easton. Initially, they developed the technology to help military personnel. Now, the technology is used in everything from vehicles to mobile devices. GPS Tracking Devices leverage GPS technology to monitor the movements of a person or a vehicle, their location and movement. GPS technology is used in navigation, and its precision supports surveying. The technology uses transmitted signals and mathematical triangulation to pinpoint location. GPS tracking devices uses the information from orbiting satellites to determine the exact longitude and latitude of the device. The tracking equipment can be used by private investigators to monitor the travel activities of subject’s vehicles. GPS device tracking capabilities are not limited to tracking vehicles, as they can even be used to track the subject themselves. The iTrail is motion-activated, so it records detailed information only when the device moves, which not only conserves battery power, but also ensures you only get the information you need. The software works in conjunction with Google Maps, and provides multiple views from 3D and satellite to street view. Pinpoint an exact address of where the device has been. A magnetic carrying case is available separately in case you need to attach it to something metal, such as a car, bike, truck, etc. The device can be hidden in a car or in a bag and, once recovered, will give you a detailed history of where it has been. All you have to do is connect the iTrail to your computer via the included transfer cable to see its travel history. iTrail is a great low-cost way to the track movement of just about anything. 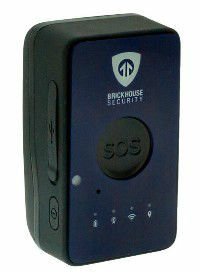 Learn more about the iTrail at Brickhouse Security. 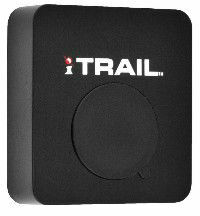 The iTrail GPS Logger is a compact and affordable data logger that is perfect for covert location tracking. The battery on the iTrail lasts up to 120 hours on a single charge. The device provides a tiny, hidden way to track what matters most. Always know for sure exactly where your vehicle is. The TrackPort is the easiest way to track a car or truck without worrying about battery life. Just plug the device into your car’s OBD-II (On Board Diagnostic) port. 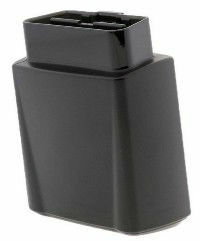 Normally located under the driver’s side dash, this port has been standard on all vehicles sold in the United States since 1996. The Trackport delivers real-time updates, every 10 seconds so you can quickly know where the tracking device is and where it’s been. Set up geofences to receive alerts via text message or email when your vehicle enters or exits specific areas you choose. Access everything directly from your PC or any smartphone; there are no apps to download. Learn more about the Trackport 3.0 Vehicle Tracker at Brickhouse Security. Smaller than a cell phone, this electronic tracking device is ideal for international travelers. And with its 6-month extended battery, you’ll never worry about running out of power.Loaded with features, this battery-powered tracker gives you real-time location viewing from the comfort of your computer or smartphone; and there are no expensive apps to download. The Nano’s fully rechargeable battery can run for three weeks or more under normal use (~1 hour a day), and with motion-activated tracking, you won’t waste any battery life when your target isn’t moving. The device’s new-and-improved weather-resistant body makes it more versatile than comparable trackers. Includes an exclusive and easy-to-use online tracking platform gives you detailed reports of all the Nano’s activity. Get text or email alerts to your computer or smartphone if a vehicle exceeds a user-defined speed. Or set up a geofence and get instant alerts when a person or vehicle moves into or out of a “safe” area you’ve designated. Get unlimited tracking 24 hours a day, 7 days a week for one low monthly fee. The tracking subscription will automatically be added to your shopping cart when you make your purchase, and billing will begin after 7 days. Learn More about the Spark Nano 6.0 at Brickhouse Security. Full service private investigation agencies will often receive inquiries regarding the use of GPS tracking devices their clients and prospects. It is a good idea to have at least one investigator on staff that is familiar with how the devices are used and the laws that apply in your state. Proper use include locating the subject’s vehicle and placing the device in a hidden area, such that it won’t be discovered or fall off when the vehicle starts moving. In addition, it is important to be skilled at retrieving the device and interpreting the data and results once retrieved. If you have any questions about GPS Tracking Devices, please leave a comment below. Also, see our review of Bluetooth Tracking Devices, such as the best-selling Bluetooth item tracker, Tile.